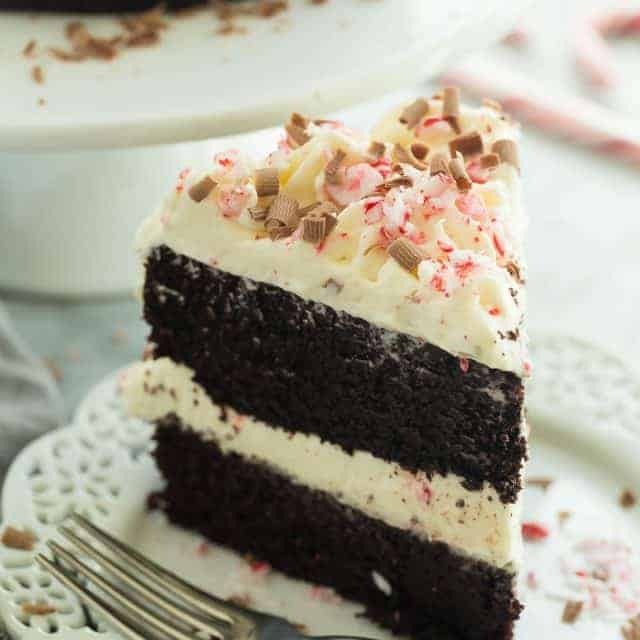 This Double Chocolate Peppermint Cake has two chocolate cake layers, white chocolate whipped cream and is finished off with crushed candy canes and chocolate shavings — this is the dessert you want to bring to the Christmas party! Hi, hi! Ashley from The Recipe Rebel here with you again and I’m bringing you a cake that I am super, super excited about. I don’t know about you all, but I for one love mint and chocolate. Really, I love chocolate and anything. Am I the only one? I know some people who don’t like white chocolate, or don’t like mint and chocolate, or they don’t like fruit and chocolate, and I will admit — I think they’re a little bit crazy. When it comes to anything chocolate, you won’t see me turning it down! Like this cake? The day I made it I offered it up to my Facebook friends because I needed to get it out of the house before I ate the whole thing. Needless to say, I got a text from a friend about 3 minutes later saying, “yes!! Yes, me! 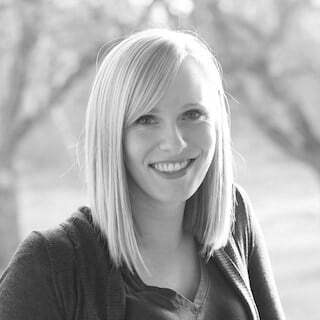 I’ll take it!” And there she went. 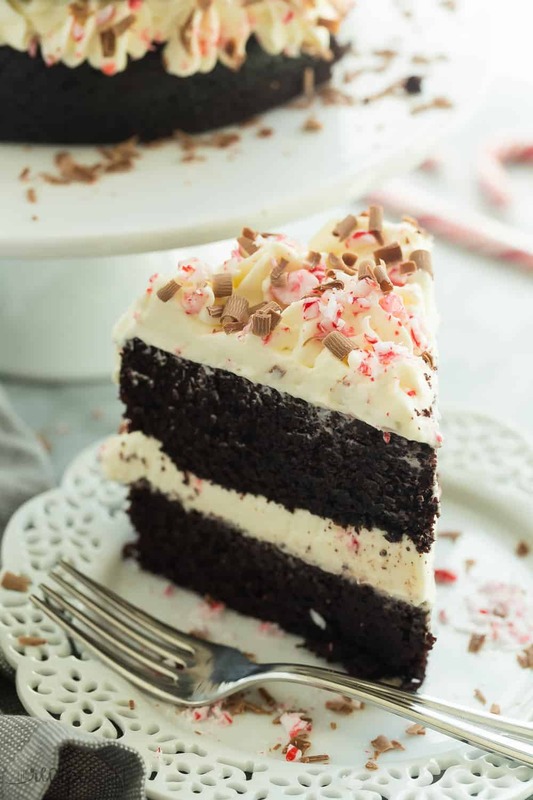 The chocolate cake is originally the Black Magic Cake from Hershey — it’s the best chocolate cake there is (in my mind), and it seems like almost everybody has reshared it in some form. I made a couple changes, and my method is a bit different (because I bake the way my mom taught me, which is sometimes a little less conventional! ), but it is still the same delicious, fudgy, chocolatey piece of Heaven. I do like to use whole wheat flour when I’m baking a chocolate cake, because I find the nutty flavor is hidden in the rich chocolate flavor, and you can’t see or taste the difference so why not make things a little healthier? I’m all about eating cake and feeling a little less guilty about it. Aren’t you?? 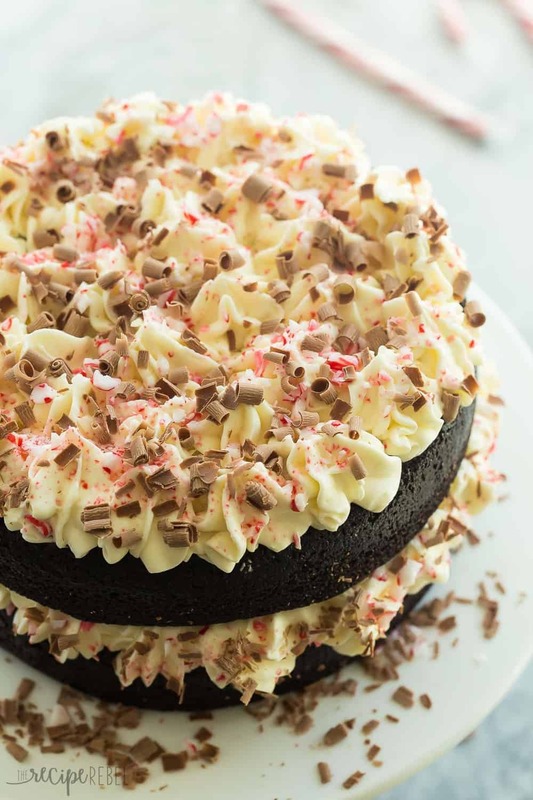 This Double Chocolate Peppermint Cake has two chocolate cake layers, white chocolate whipped cream and is finished off with crushed candy canes and chocolate shavings -- this is the dessert you want to bring to the Christmas party! Heat oven to 350 degrees F and grease 2 8" round pans with non stick spray. In a large bowl, combine the sugar, oil, vanilla, mint extract (if desired) milk and eggs. Add the salt, baking soda and baking powder and whisk until combined. Stir in the coffee. Add the cocoa powder and flour and stir just until combined. Divide evenly between prepared pans and bake for 28-30 minutes until a toothpick comes out clean. Cool to room temperature. In a microwave safe bowl, heat the cream and chocolate in 45 second intervals on high, stirring each time, until completely smooth. Refrigerate until thoroughly chilled (it won't whip if it's warm!). After cream is chilled, sprinkle gelatin over ¼ cup cold water in a small bowl. Let sit for 1 minute, then microwave on high for 20 seconds or until dissolved. Set aside to come to room temperature. Beat cream mixture with an electric mixer until soft peaks form. Stir in room temperature gelatin mixture and powdered sugar and beat until stiff peaks form. 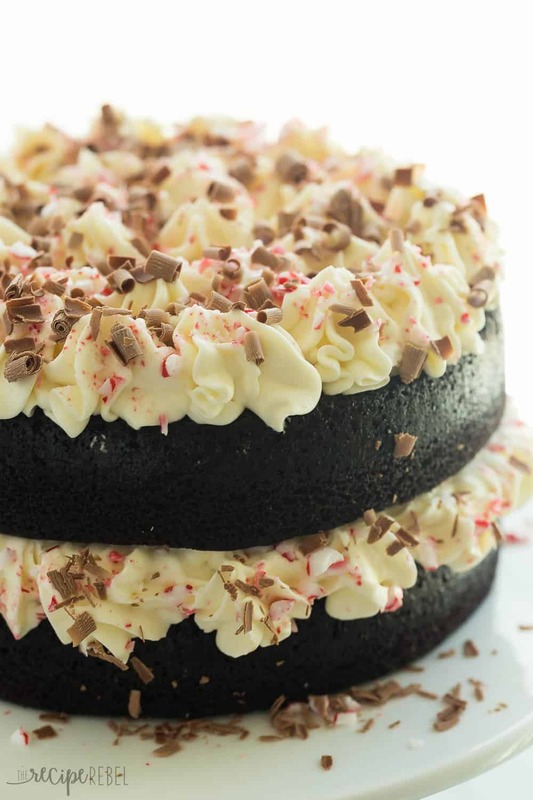 Place one cake layer on a cake plate and top with half of the whipped cream. Sprinkle with crushed candy canes and chocolate shavings. Repeat layers one more time, using remaining whipped cream. Chill at least 2 hours so the whipped cream can set properly before serving. Store leftovers in the refrigerator up to 3 days. *You can add mint extract to the cake or not, depending on your tastes! 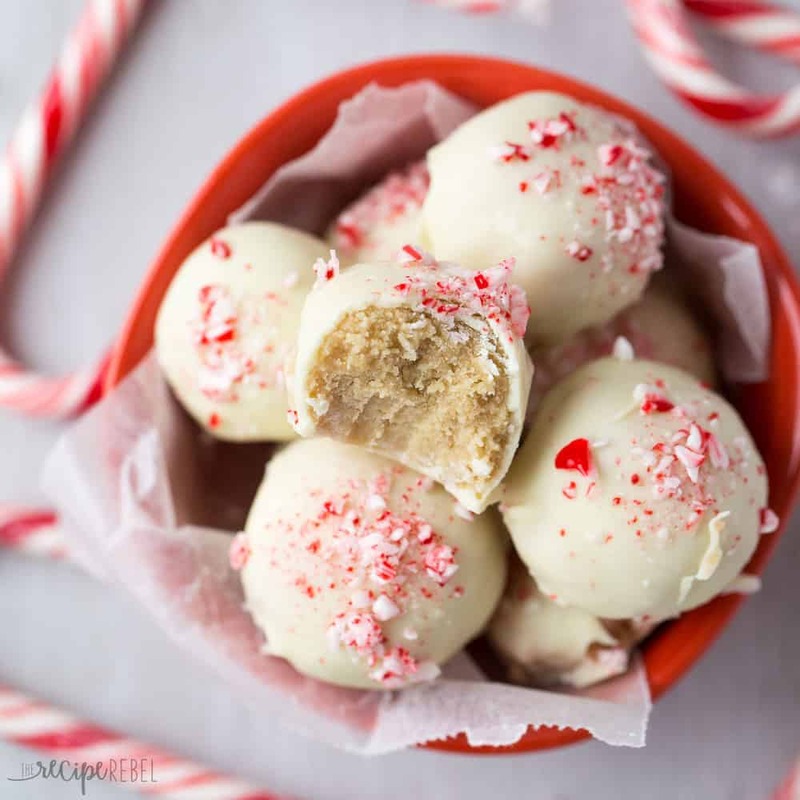 If you want a very mild peppermint flavor, simply cover in crushed candy canes and omit the extract. 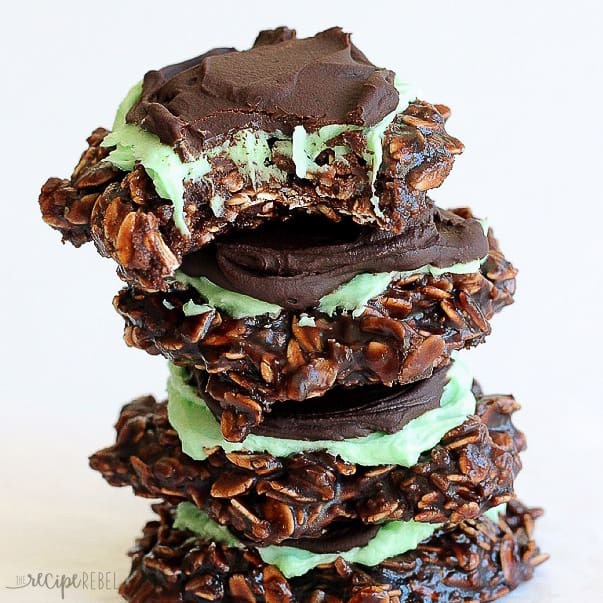 You might also like these mint chocolate treats! OMG I almost did a face plant into my keyboard when I saw this. Sadly, I live in a household where anything mint is shunned (even the toothpaste isn’t mint but some medicinal herb thing). Had I known about the mint aversion earlier, it would have been a deal breaker. Now I must decide whether to secretly make and eat an entire cake by myself, or to just look at your pictures and imagine. I LOVE chocolate & mint. But my ‘thing’ now is chocolate & orange. /me thinking how this would work with orange instead of mint. So what did I do wrong? The unflavored gelatin set up like a block when I let it come back to “room temperature”. The cream did not get thick. I tried whipping it longer, but ended up with it breaking and I had sweet white chocolate butter. One thing I will say, though; if you want to cut time off the whole process, I used a commercial cake mix, used the coffee for the liquid component, and added Andes Mint baking pieces with mint extract added. I chopped up Dove peppermint bark candies and put more of the Andes mint pieces on top. I had the same problem as the other commenter. Whipped cream mixture turned into butter instead of forming stiff peaks. I think I will try to reduce the water with the gelatin bc normally I use significantly less in other recipes. . Cake smells wonderful though. Don’t use the gelatin!! It seized up and I had to strain it out of my beautiful frosting. But, the cake and frosting (after I removed the gelatin) were AMAZING! !